Barnes and Noble has marked down their Nook Tablet 7 tablet by 40% and is now selling it for a paltry $29. It is available online and in most of their bookstores in the United States. This could be an indication that they are working on a new device that might be announced in the next few months. Barnes and Noble first started designing their own tablets in 2010 and the bookseller continued developing their own hardware until 2014 when they ironed out an agreement with Samsung. In 2016 Barnes and Noble took a page out of Amazon’s playbook and decided to design a new low-cost tablet that they could market for $50. 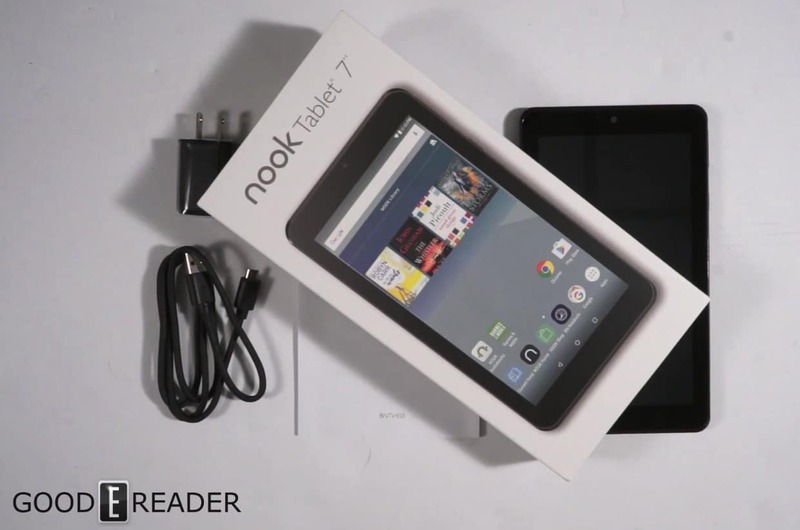 The Nook Tablet 7 has not without controversy, it was discovered that malware was sending user information to a Chinese company and there was also a problem with the wall charger that promoted B&N to do a general recall. Despite all of these missteps spending the $29 on a Nook Tablet remains a compelling value proposition.